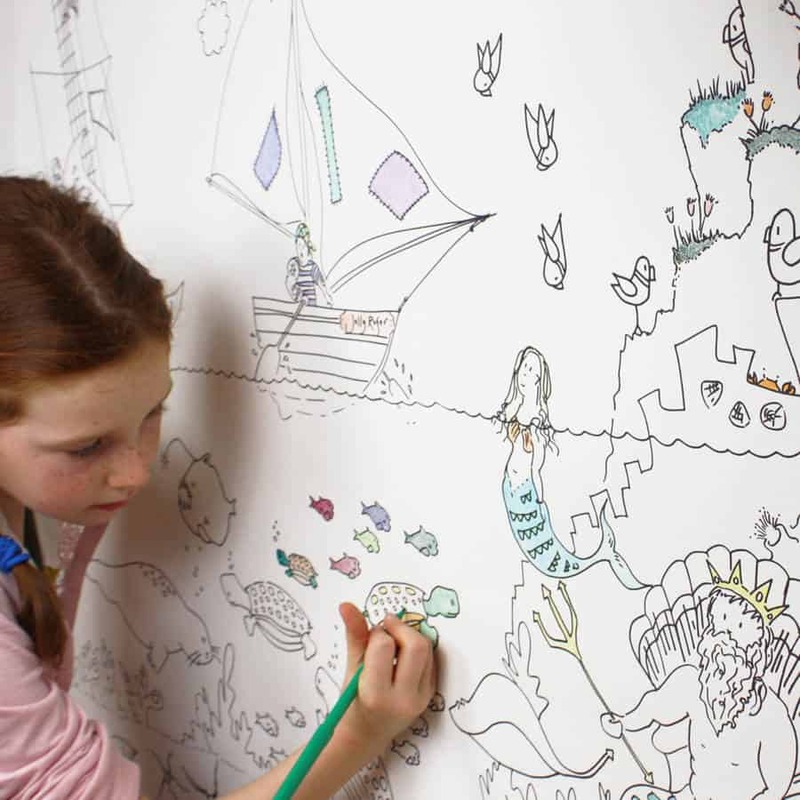 The idea of using colouring in wallpaper in children’s room is a super one. How many times do we tell children to not draw on the walls when they’re little…and how many just go ahead and do it anyway? Why not give them the freedom and expression to make their walls personal to them and colour in their walls as much as they like. You can get some fantastic designs now too. I have a collection of kids colouring books that end up in a pile somewhere and forgotten about, whereas this is some colouring paper that has a really great chance of actually being coloured in! It’s quite amazing really that colouring in wallpaper has taken so long to take off, while there are some fantastic designs available now, I have a feeling that this will become more readily available in the near future, as there has been an explosion in more interactive and innovative design as far as kids decorations are concerned and there is so much room still for this to expand. You could use some as a tablecloth. You could pin a small amount to the wall or a board. You could use it as wrapping paper, cut it out to use as napkins at kids parties. You could use it to cover school books. I’m sure you could up with many other uses besides these. The first colouring in wall paper I discovered was on ETSY via the seller tobechild and they have a number of different varieties of colouring wall paper available. This colouring in paper is called CHILDHOOD. The company “tobechild” ships worldwide. The dimensions are 10m long and 53cm wide. It has an array of unusual shapes to fill in, from rainbows, to boats, to suns and rainbows! From the same seller is this different theme called DREAM – they share the same dimensions as the previous at 10m long and 53cm wide. There are cute little portraits to fill in, as well as a variety of other unusual things – much like in a dream, everything is mixed up. 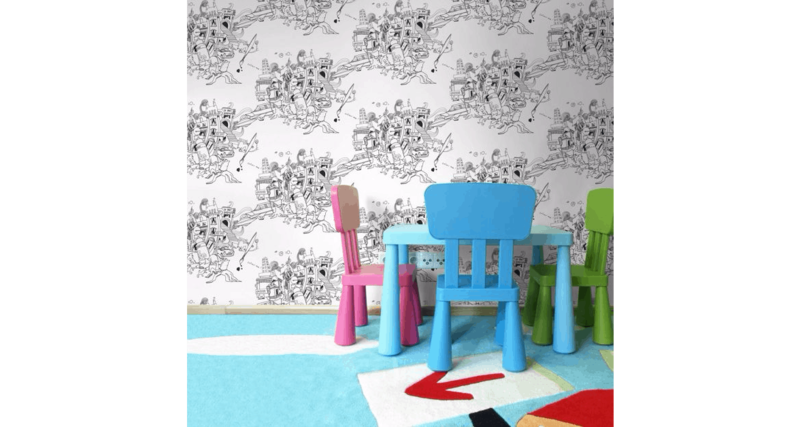 Thirdly from the same seller, is this colouring in wallpaper named MONSTER containing a variety of monster related creatures in various shapes and sizes, that your child will love. The dimensions again are 10m by 53cm. Priced at 13.18. 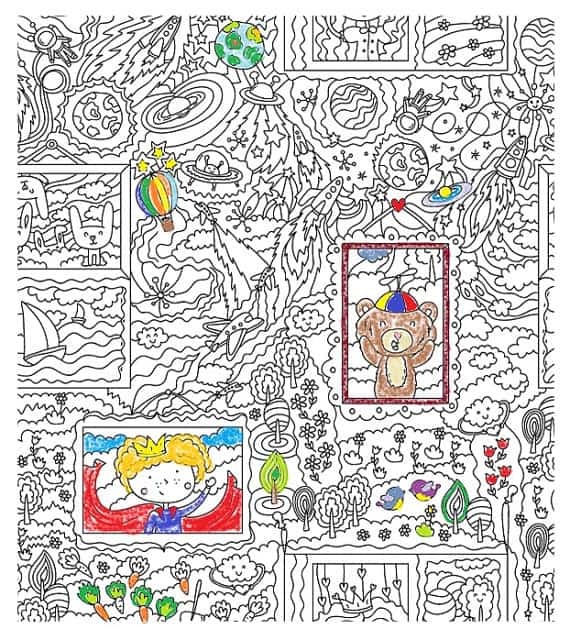 This colouring in Wall paper can be found at House Of Fraser and is called COLOUR ME LIZZIE . The width is 52cm, although they aren’t showing the length at this time. The scene is a mishmash of items including a wibbly wobbly castle and a variety of other weird and wonderful things. I love this one! This amusing and fun piece called BURGERDOODLES can be found on “Notonthehighstreet,” containing an unusual jolly bunch of wonderful kooky creatures. The dimensions are 1000cm by 52cm, so it will cover a large area! This fantastic colour in wallpaper is a large, 3 square metres of fun and 900mm high. Plus there are 4 different designs available, whether your child is a pirate, circus, fairy or jungle fan! Each pack comes with six sheets. These super designs, containing great illustrations and are by FUNWALL. 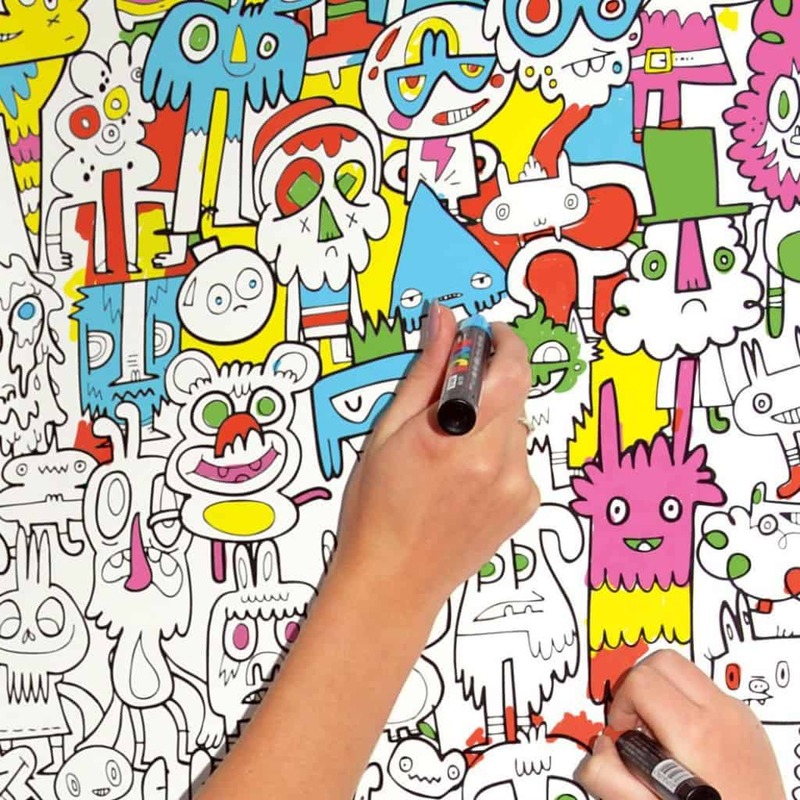 Are you thinking of giving colouring in wallpaper a go? I love the idea, only wish this stuff had been around when I was a kid. I actually had a wall in my bedroom as a kid that I created into my own colouring wall, I created it all myself but I wasn’t a great drawer at the time, they’re are some great designs available here that could really look amazing when filled in. Which design is your favourite? Let me know what you think in the comments! Other posts you may also like…. I have never heard of fun wall before but I gotta tell you that this is a great idea. I’m surprised the idea was not around when I had raised my kids but then again I never thought of it either. I guess it’s just one of those things were you don’t think about it until it’s in front of you, then you think why didn’t I think of that. Great concept and excellent idea for kids to have fun and learning at the same time. Love the idea, really like the post, its been educational. To be honest, it was very recently that I learnt of the idea too and I think it’s great. 🙂 Thanks for your comments!! l do enjoy wall painting with my nieces and at times we spend hours just messing around. Dinosaur , Disney and space wall stickers are her favourite and l must admit I secretly enjoy it too. Anyway, to me wall coloring is not just for fun and play, l feel it brings a lot of creativity in children too. Absolutely Roamy, I’m glad you agree. My sons are very much into the space and dinosaur wall stickers – there are some such realistic ones too, that are pretty impressive. I’m pleased you enjoyed the post, many thanks! Oh my gosh this is brilliant! I have never heard of colouring in wall paper before. I have a 2 year old and a 4 year old so this is something that will really go down well in my house right now. My daughter has drawn on the walls a few times now and I am sure my 2 year old son will be starting soon. This is creative and fun and will also solve the problem of drawing on the walls. My daughter will love the fairy design by Funwall. Thanks for sharing. You’re welcome, I hadn’t heard of it until recently either – but think it’s a great idea. 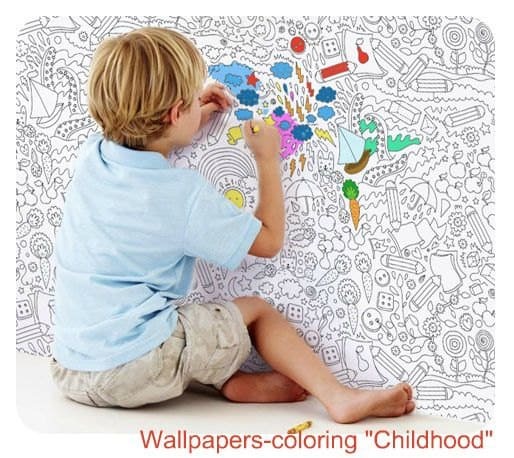 I hope the colouring in wall paper works out for you – I wish I’d known about it when my kids were the right age! But they are keen on wall stickers at the moment. Many thanks for your comment! Hi, what a fantastic product! It’s the first time I’m seeing this. I think this is going to be a hit with my kids and other children too. My little ones love to draw but sometimes my 2+ year toddler ends up drawing on the floors and tables. It’s a hassle to clean up the marks so I think this wallpaper is just what they and I need! You’re very welcome – I love the very idea of colouring in wallpaper, I’m surprised there isn’t more of it around but there are some great designs available now. Have fun! I personally think this is my best kid thing to do, I went to the movie rental the other day, well some months back and I took a fish home to color, It was so much fun and I buy a lot of coloring books for my nieces and they love to color. I love to play coloring with them. Its so amazing. Cant wait to have kids one day. I love colouring too Kelly… actually I still do. You should try some of those calming adult colouring books you can get now, they have some great designs and are really fun. 🙂 Thanks for your comment. Wow, I didn’t realize that this can be a cool project! Kids love to write on walls, or practically anywhere. So if they colour wallpapers, that will just be so perfect. Would you know if these wallpapers are easy to remove? I would love to frame a part of it, then I like your ideas to use the rest of it as gift wrappers or for school books. Yes they’d be great for that! As far as wall paper goes – it’s just like any regular wall paper, no harder to remove. Thanks for your comment! What a beautiful and colorful website! I got so caught up with all of the awesome wallpaper that I didn’t want to leave. It’s difficult to choose from. I am going to refer your site to all of my friends with children. One of them in particular is in the process of redesigning her son’s entire room. 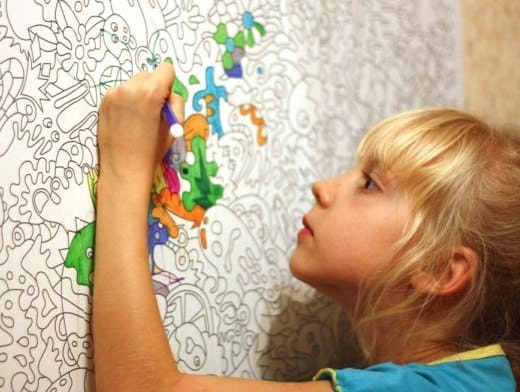 Colouring in wallpaper is an amazing idea! I really wished I had this in my room as a kid because it would be so much fun decorating my room in a fashion. I know exactly where you’re coming from because my mum told my younger brothers off so many times for drawing on their walls. But also on the carpet and furniture too. HA HA. this idea is so clever, i mean my kids loved nothing more than ruining the lovely new wallpaper in the house lol. definitely going to be investing in some of this when we move house in march so i can tell them to draw on their wall only. great post and a great idea any other things you would advise to keep the kids busy? Hey there – yep kids just love drawing on the walls don’t they :). 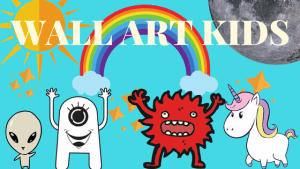 As far as keeping the kids busy – check out some of these great drawing books for kids or these art gifts for kids! Thanks for your comment! I love this! I was just thinking I might buy it for my kids for Christmas, but I’m thinking they may be too little. While I think my 3 1/2 year old would understand that he can only color on the paper on the wall, my 20-month-old would likely thing it’s open season on anything he can set his sights on with a crayon. I’ll have to keep this one in the back of my mind for a couple of years! Thanks for the post, great idea!